Two weeks ago I had the opportunity to attend the Global Pet Expo in Orlando, Florida. My goal? 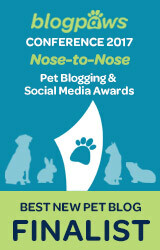 To find the pawsomest products to share with you all! Check out my top 8, as well as a couple of honorable mentions! It feels like everywhere you look there is a new CBD pet product on the market. In this post I help you understand: What is CBD, What CBD can do (the benefits) and How to Pick the best CBD-Product for your pooch. Live in Miami or thinking about visiting the Magic City with your pooch? Then listen up! These are some of my favorite dog-friendly places in Miami that both you and your dog will love. Thinking about traveling to the Windy City (aka: Chicago) with your pooch? Then check this blog post out. Find out where to eat, where to sleep and some do’s & don’ts of the city. Back by popular demand: things that only scottie owners will understand. Scottish Terriers are independent, loyal, fierce and so much more! Check out these 12 things that only those that are blessed enough to be owned by Scotties will understand. Is your dog a picky eater like I am? Find out how to get Fido interested in chowing down his food. Follow these tips and you’ll have your dog eating in no time. Ahh, the Scottish Terrier…more commonly known as a Scottie. We are solidly compact dogs of vivid personalities. We are independent, confident, dignified, and eerily human-like in character. Only those that own a Scottie, really understand how special and unique we truly are. Sometimes, on the weekends, I like to dress up as a cute bear and pretend that I am a stuffed animal. Why? Because that way the humans don’t notice me on the bed! Unbearably cute. Unbearable smart! Check out this video of me being ultra sneaky! Many ask me how I keep so fit. Well, living in Miami, where it is always summer…I get to practice my doggie paddle all the time. Check out this video of me swimming faster than Michael Phelps during a recent visit to Hobie Beach (the coolest dog-friendly beach in Miami).